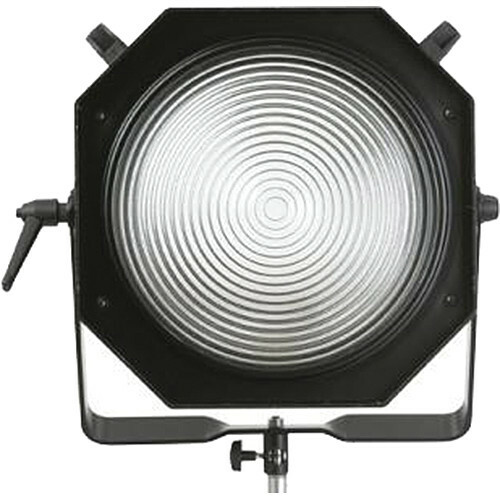 The Profoto ProFresnel Spotlight attachment features a large 30 cm front lens to supply a great lighting effect, and the light is focused by pushing the lamp forward or backward. It is similar to those used in theatrical and movie lighting. For highly focused light at short or long distances. It accepts barndoors for control of the light edges. Accepts all Acute, ABS, AB, PAB, Twin Lampheads, Pro Heads and all ComPact units. Accepts Profoto ComPact’s, Acute2, Pro-7 heads and Tungsten/HMI. 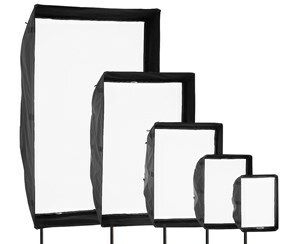 We offer all the Chimera soft boxes you could need for your next photo shoot. Call us to get full inventory. The name “hard reflectors” reveals two important characteristics of these Light Shaping Tools. 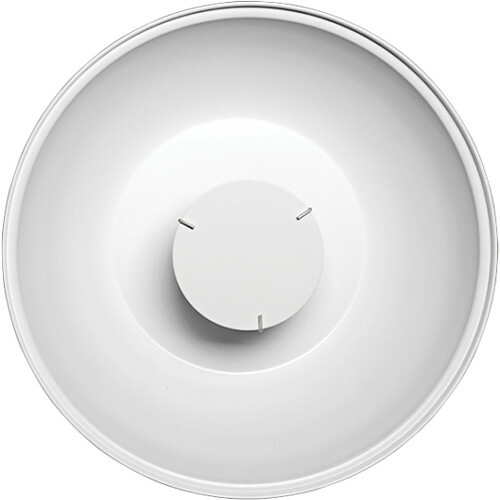 First of all, the reflectors themselves are hard – lathed in high-quality metal and extremely durable. Secondly, they create generally a harder light with a more distinct fall off than, for instance, a softbox or an umbrella. 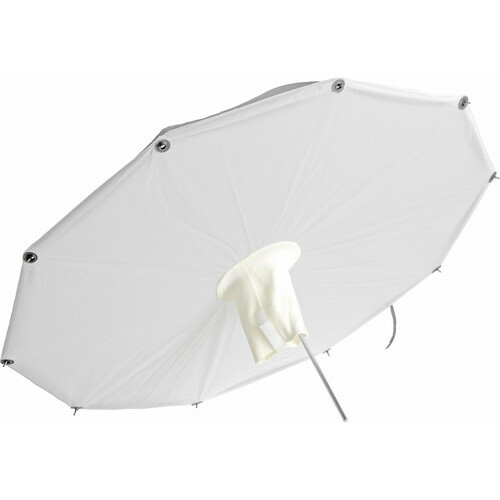 An umbrella that can be quickly transformed into a softbox, the 46” and 60″ SoftLighter Umbrella from Photek is built on a redesigned classic umbrella with a fiberglass frame and white reflective fabric that is free from contaminates that might add an unwanted color cast to your light output. 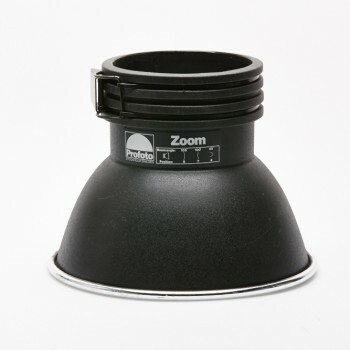 The unique modifier includes a diffuser that fits tightly over the open side of the umbrella and accepts flash heads 7.25″ or less in diameter – instant softbox! 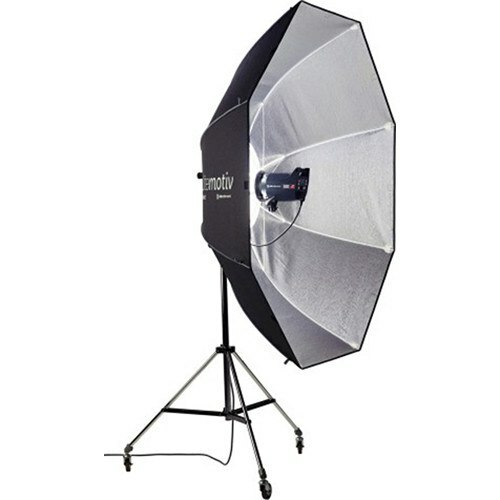 The combination of the light bouncing off the umbrella and through the diffuser yields a soft, flattering quality of light and since closer is softer, a portion of the shaft is removable so that you can work closer to your subject. Umbrellas are the backbone of many photographers’ toolboxes, and understandably so. Umbrellas are affordable, easy to work with and very easy to transport. 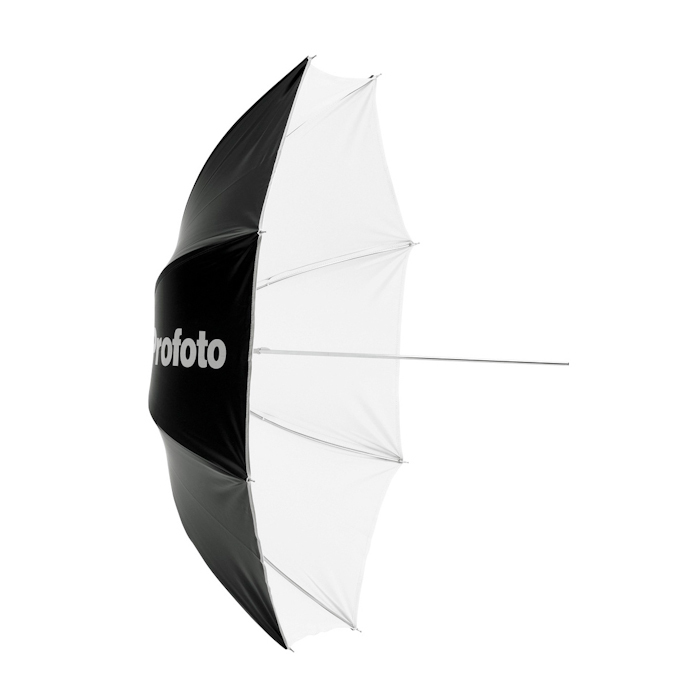 But Profoto Umbrellas are not just average umbrellas. Available in 12 unique versions and made with high-quality fabrics and surface-treated metallic elements, Profoto Umbrellas will provide a superior light and last for years to come. We have umbrellas in varying sizes from 41inch to 72 inch. 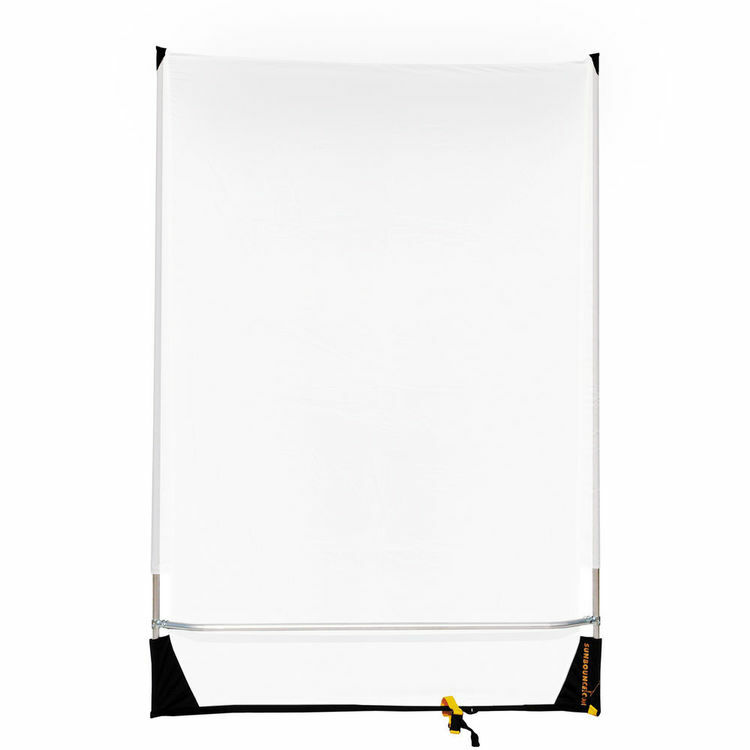 The Westcott Large 72″x72″Scrim Jim Reflector Kit diffuses and reflects light in a modular, collapsible, portable kit allowing you to create three different frame sizes. We offer multiple sizes to fit your production needs. Fashion photographers, who pretty much invented the location shoot, have known for a long time that when it comes to light, natural is best – provided you can control it. 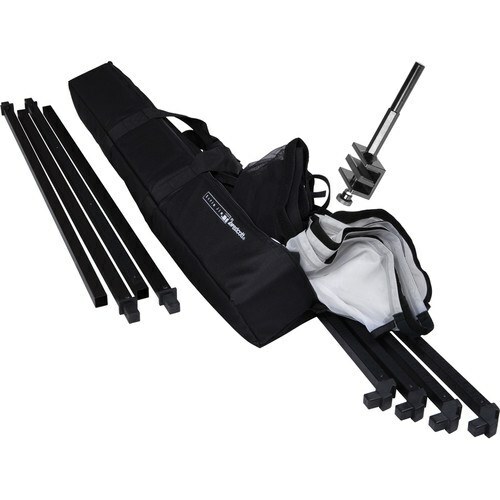 The Sun-Swatter Pro Starter Kit from Sunbounce is part of a system that does just that. Resembling a huge fly-swatter, this 4 x 6′ light shaper stretches a translucent screen across its high tensile strength aluminum frame. A couple of minutes of easy setup gets you a very large patch of bright open shade with manageable contrast, instead of glaring deep-shadowed sunlight broiling your subject. While the Sun-Swatter is easily handheld by its frame a better option is the included a Boom Stick extension handle. Also included are a grip head for stand mounting and a set of clips to tighten the fabric. The kit fits neatly in the included soft carrying case. Beach Cart Make traveling with your gear easy with a beach cart. Folds up small for travel and holds all your equipment in safe easy to wheal cart.